Harry D. Griffiths was raised in France, where he attended Dieppe College. He graduated at the Royal School of Mines, London, but was also a bronze, silver and gold medallist of the Cardiff Technical Schools, won several scholarships, and completed an apprenticeship as a mechanical engineer with the Cardiff Junction Engineering Company. He was an accomplished athlete in his student days, participating in football and rowing. After spending a year as a miner in French silver and lead mines he came to South Africa in 1890. He managed the Belgravia Mine in Kimberley for two years and in 1892 was appointed chief engineer to the Kimberley Exhibition. Thereafter he worked as chief technical assistant to S.H. Farrar* in Johannesburg, and for several years as mine manager and consulting engineer for various gold mining companies on the Witwatersrand. Griffiths was an associate of the Royal School of Mines; an associate member of the (British) Institution of Civil Engineers; a member of the (British) Institution of Mining and Metallurgy and of the American Institute of Mechanical Engineers; and a Fellow of the Royal Colonial Institute. In May 1893 he became a member of the South African Association of Engineers and Architects and in October that year read a paper on "Treatment of pyritous ores" which was published in the association's Proceedings for 1892-1894 (Vol. 1, pp. 65-74). When the Geological Society of South Africa was founded in 1895 he was elected a member of its first council, serving for that year only. That same year he married Florence M. Clements. He was a foundation member of the South African Association for the Advancement of Science in 1902 and was still a member in 1906. He also joined the Chemical, Metallurgical and Mining Society of South Africa in 1903. From 1897 Griffiths spent two years as a mine manager in New Zealand. There he converted dry-washing into wet-crushing plants, served in that country's Chamber of Mines, and was chosen as chief engineer of the Auckland Exhibition. During the Anglo-Boer War (1899-1902) he worked in Rhodesia (now Zimbabwe), returning to Johannesburg as a consulting mining and mechanical engineer when the war ended. His publications include a map of the Coronation Reef and some papers: Report on the properties of the Rhodesian Banket Co., Ltd. (1905); "Paardeberg Mines and district" (South African Mining Review, 1907); and two papers on tin mining in the Cape Colony, in the Journal of the Chemical, Metallurgical and Mining Society of South Africa (1907) and the Mining Journal (London, 1908). 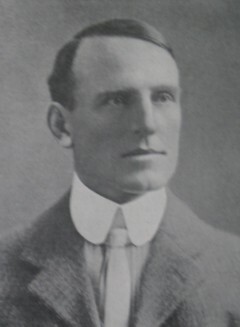 After leaving South Africa Griffiths became manager of the Troush Mines in the Federated Malay States and wrote an article on "Bucket-dredging for tin in the Federated Malay States" (Mining Magazine, 1917). He then settled in Burma as consulting engineer to its tungsten mines. Geological Society of South Africa. Transactions, 1895, Vol. 1, list of officers; 1897, Vol. 2 and 1906, Vol. 10: Lists of members. Google scholar. http://scholar.google.co.za Publications by Harry D. Griffiths. Griffiths, Harry Denis. Grace s Guide to British Industrial History. 1922 Who s Who in Engineering. Retrieved from http://www.gracesguide.co.uk/1922_Who's_Who_In_Engineering:_Name_G on 23 March 2017. South African Association of Engineers and Architects. Proceedings, 1892-1894, Vol. 1 and 1898, Vol. 4: Lists of members.